Following through on Governor Phil Murphy’s pledge that New Jersey take steps to ensure all residents live in a clean and healthy environment, the Department of Environmental Protection today released a plan on how that goal will be achieved across state agencies, Commissioner Catherine R. McCabe announced. The DEP will hold a 60-day public comment period to receive input on the proposal. Three listening sessions are scheduled in the northern, central and southern regions of the state for the public to comment on the plan. Governor Murphy signed Executive Order No. 23 on April 20, 2018, directing the DEP to take the lead in developing a plan for how all executive branch departments and agencies should consider environmental justice in implementing statutory and regulatory responsibilities. Environmental justice, as defined by the U.S. Environmental Protection Agency, is the fair treatment and meaningful involvement of all people regardless of race, color, national origin, or income with respect to the development, implementation, and enforcement of environmental laws, regulations and policies. It also means no one group of people will have a disproportionate share of negative environmental consequences stemming from industrial, governmental and commercial operations or policies. Tuesday, March 5 from 6 p.m. to 7:30 p.m. at Peterstown Community Center, 408 Palmer Street, Elizabeth, Union County. Written comments may be submitted until March 22 to eo23@dep.nj.gov. The draft plan is the culmination of nearly a year’s work by an interagency panel to receive input on environmental justice topics from members of impacted communities, conservation and planning organizations, business and industry, municipal and legislative representatives. 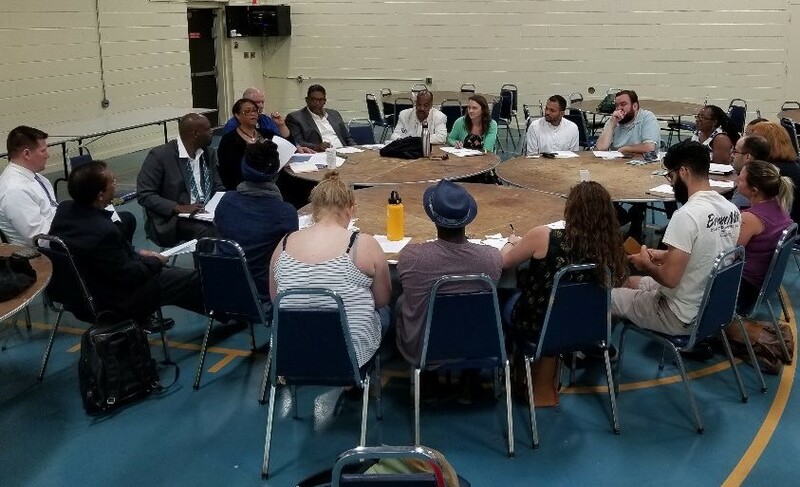 The panel held multiple meetings during 2018 at the DEP and in various communities to hear ideas and concerns. Vulnerability to the effects of climate change, such as increased flooding. 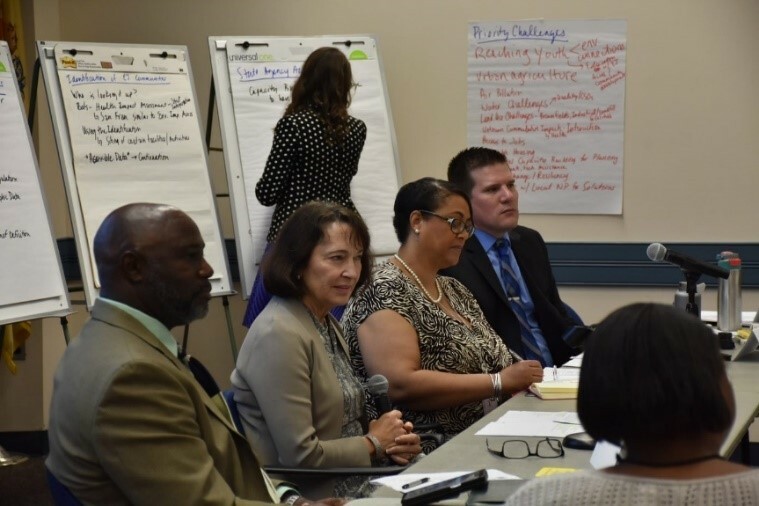 The draft plan requires 15 state agencies to develop plans on understanding environmental justice issues; working with other agencies and leveraging program and funding opportunities to maximize benefits for impacted communities; getting feedback from residents; and collaborating with the communities to improve conditions. Since August 2018, the state has filed 14 lawsuits related to environmental justice cases across New Jersey. In December, Attorney General Gubir S. Grewal and Commissioner McCabe announced the filing of eight lawsuits that focus on addressing pollution and environmental hazards in minority and low-income communities. Six other suits filed in August seek to recover damages caused by pollution. In addition to the lawsuits, the Attorney General’s Office announced it is restructuring to add an Environmental Enforcement and Environmental Justice Section. To view the draft plan, visit www.nj.gov/dep/ej/eo23/docs/eo23-draft-guidance.pdf. To learn more about the DEP’s Office of Environmental Justice and to read summaries of stakeholder meetings held by the interagency panel, visit www.nj.gov/dep/ej/eo23/index.html. To read Gov. Murphy’s Executive Order No. 23, visit https://nj.gov/infobank/eo/056murphy/pdf/EO-23.pdf.